What do you want out of the comment section on a Blog? Someone’s marvellous insights or someone telling you how they sell a product or service around the topic of the Blog posting? Anyone can sell anything. Most great business books on sales will tell you this. The real value is in the relationship. Jeffrey Gitomer (author of The Sales Bible and many other best-selling books on sales) says, "all things being equal people buy from people they like. All things being unequal, people still buy from people they like." That lesson is perfectly transferable to the digital channel. The more people like your ideas and how you connect your thoughts, the more inclined they will be to learn more about you and tell others about their experience. The more inclined they will be to click on the link that is associated to your name, to friend you on Facebook, follow you on Twitter, subscribe to your Blog or maybe – just maybe – buy from you. You might remember that classic scene from the movie, Glengarry Glenn Ross. In the high-pressure world of sales, there are professionals who understand what it means to be a real shark. It’s not that online social channels are filled with minnows and the sharks seem very out of place, it’s that you need to focus on what you’re selling and in what channel. My argument would be that you are not selling your end product or service at this level (or, at least, you should not be). What you should be selling is your ideas. It’s not about closing. It’s about opening. That’s what makes this space so special and amazing. Smart ideas get people’s attention. Smart ideas get people clicking. Smart ideas get people buying. Smart ideas build trust and credibility. 1. Add a perspective that has not been touched on, but you believe in wholeheartedly. 2. Add some colour to the commentary by linking to another piece of relevant content that was not mentioned. 3. Talk about how this affects your industry – not just your own business. 4. Give a perspective of where you think things will be in the near-future. 5. Take the time to really think out your perspective. Maybe write it in a Word document and let it simmer for a while before publishing it. 6. Offer to gather people together in a live meet-up or unconference to discuss the topic live. So, here’s the big question: when you are creating content (either for yourself or on someone else’s space), are selling your products or services or are you selling big ideas? For sale: The secret to all SEO success. Send me a Pay Pal order to the e-mail address listed here for $50, and I’ll teach you everything you need to know. Do you really want to move ahead with your site without these secrets? Act now. Well given the above – so much for that plan! Selling is critical to success. The Net – I agree with you- ain’t that space. No I am not an elitist. This should be where every single person on the planet communicates. But right now it is where seemingly most of these unwashed are just shouting at me. And you. And you. And, yep you too! I am tempted after 20 years online to drop off. And all it has ended up with is… cheap TV, Ron Popiel type hucksterism and social media – that is anything BUT social. I look at the top X number of the Twits out there. No one has a job. No one has a client – they are trying to make money showin the other folks how to get popular by being popular. I don’t see any value in that quite frankly. I see no clear knowledge leadership and certainly no subjects that matter to me. I see How to blog about how to blog. Tell me about the state-of-the-art in customer relations in Telco. Tell me about how to develop customer lifetime value in a resort or vacation industry. Tell me how an electronics company would fight outsourcing and use domestic production as a strategic tool. I list these cause they are only some of the Google Alerts I have – it is embarrassing cause in all the alerts – and all the RSS and all the Twitts and Blogs …nothin. I would do a Google Alert on How to be a net celeb but my inbox would explode! No knowledge capital. Just folks trying to get popular by bein popular. Hey, kids – get a job. I am going back to my helpin my clients. This thing called the “Web” ain’t lookin all that good. More like Vegas in 1977. And trust me being an old guy I saw in 1977. it wasn’t pretty. And a few of my clients see this and boy does it make my job difficult trying to explain that what they see is the stuff at the surface – like a scab – and there are wonderful bits but ya gotta dig. That has to be one of the best rants I have read in a long while. I think you have added a comment to the comment section on this Blog with an insights that has a very big idea behind it, with no underlying sell at all. Well, doesn’t selling my products on someone else’s place mean to spam? However, I’m very skeptical that somebody – a regular marketer let’s say – can really sell his ideas by commenting here and there or by writing an article. No matter how smart that comment/article might be. Because, let’s face it, like Mose said above, there are countless smart commenters on the web. And then there’s the other thing: people don’t have time or patience to read. They just scan the content. And stop only where they find something useful for the task in hand or something funny and possibly stupid. I incline to believe that the only way to sell online is to be present and relevant in the exact moment your prospects are looking for what you sell. 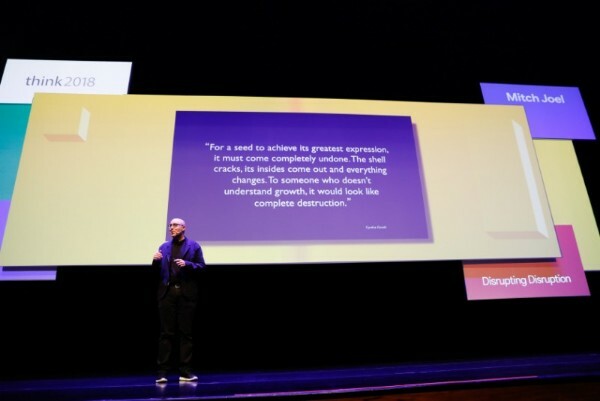 Unless you are Seth Godin, of course. PS: I hope you got that coupon I’ve sent you the last week; spam filters can be very zealous. I couldn’t agree more with your comments about the importance of relationships. It’s not what you’ve got to sell that makes a difference, it’s about having a strong relationship so that you understand your client’s needs, wants and objectives and so that your ideas are heard. Trust is the key to any relationship. I agree with you : engage a conversation not a brain wash. I agree with this post, but the comment by mose was almost as compelling. I agree, there is a great deal of nothing on the Web, but some of that does create something. I hope we can all dig a little deeper. Thanks. Mitch – just a quick comment about the “people buy from people they like” line. I humbly disagree. People buy things from people they trust. Yes, trust comes easier if you know and like the person. But when it comes to big decisions, my money ALWAYS goes to the person I trust. Likability is a nice bonus, but not a requirement. when I create blog content, I do it for myself – to get things off my chest or to define/refine some of my thinking on whatever aspect. I tend to have fewer posts – but hopefully of higher quality. The only thing I am selling is an invitation to a conversation to agree/disagree refine or reshape the ideas up for discussion. Sadly, very few people comment. Not sure if it’s my fault or being blessed with an overabundance of lurkers. Probably some mix of the two. I personally find the blogging channel is not appropriate medium for hard-selling for the reasons Mose noted and stay away from those who are in the business of promoting themselves.